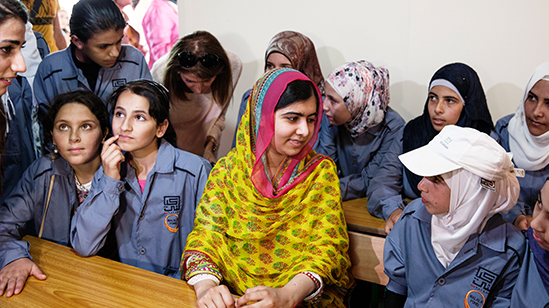 "We have the opportunity to help millions of girls go to school — and we must take action." "This award is about the power of our voices." "Go forward for justice. Go forward with hope. Go forward in peace." "Let future generations say we were the ones who stood up." "I am not a lone voice. I am many." "I'm one of the few fathers who is known by his daughter, and I am proud of it." Our favourite photos of our work are available to download here. The best way to share videos about Malala Fund is through Vimeo and YouTube. If you want to use Malala Fund’s logo for your fundraiser or on social media, please use the supporter logos below. 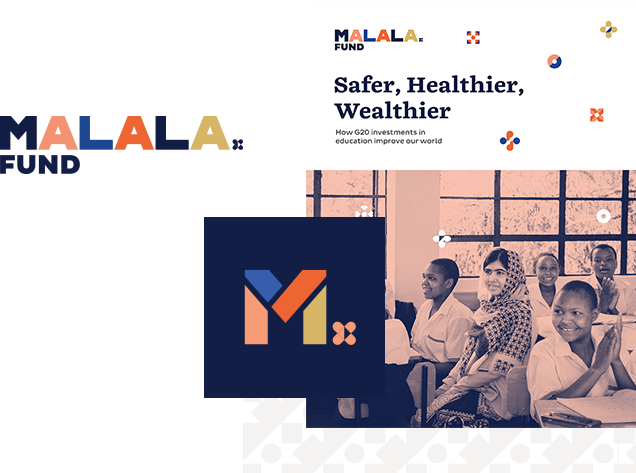 If you are interested in a corporate partnership, please contact us at giving@malalafund.org for more details on official logo use. For guidelines on logos, colours and language please review our branding kit.